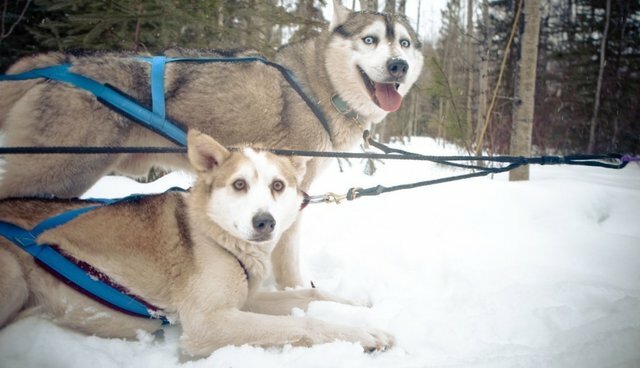 The Sad Fate Of "Dropped Dogs"
During the last running of the Iditarod, a four-year-old dog named Dorado died after he was left behind and tethered by a rookie musher. Dorado suffocated in a snow drift because weather precluded rescuers from getting to him. Dogs left behind for a variety of reasons are called "dropped dogs." My good friend and fellow Dodo community member Mark Derr has watched the Iditarod in person, whereas I have not. One can forever debate the pros and cons of the Iditarod, but Dorado's death made me think about the fate of dropped dogs and how much pain and suffering they might endure while waiting to be picked up. And, shouldn't it be required that someone remain with them until they are rescued? My own take is that any number is too many deaths and that something has to be done to prevent pain, suffering, and death in the future if the race is to continue. And Dorado did not have to die. The good record from 2009-2012 is encouraging, but Dorado's death breaks my heart as it does everyone else's, including his human companion's. Indeed, they have asked for changes to be made in the Iditarod's protocol and the Iditarod Trail Committee has already recently announced that changes will be made including the "construction of dog shelters at two major checkpoints, and more frequent checks on the animals." While no dogs are known to have died from 2009-2012, it's extremely important to consider how much dogs suffer even if they don't die. For some, death might be a blessing.